Are you a parent or provider looking for some good resources to help an anxious child? Are you wondering when worry is considered abnormal? Are you needing some tips for how to encourage your own anxious child? You’ve come to the right place! 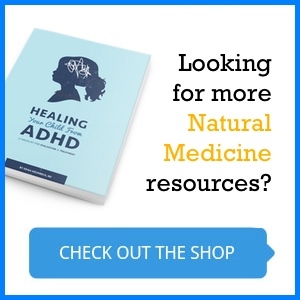 This blog post will share with you the BEST websites and books this naturopathic doctor has found to help calm your anxious child. Anxiety in kids is common. Very common! Research shows that up to 12% of children will have problematic anxiety by the age of 18. By problematic we mean that the child doesn’t just have the normal worries and concerns of childhood, but that their anxiety is prolonged and interferes with daily activities. This is serious stuff! Untreated anxiety tends to worsen over time, or at least to recur in worsening cycles. Untreated anxiety disorders tend to lead to adult psychiatric disorders including substance abuse and depression. Untreated anxiety in kids is associated with poor school performance and missed class days. As a naturopathic physician, who recognizes that our mental health affects our WHOLE body, I believe that untreated anxiety can have negative consequences in other body systems as well. I frequently see anxious kids with “tummy aches,” headaches, behavioral problems and ADHD. The average age of anxiety diagnosis is 11. But in my humble opinion most children are symptomatic years earlier, they simply can’t tell you that they are anxious or worried! Most young children feel the effects of anxiety as abnormal body sensations – hence the stomachaches, headaches, dizziness, or feeling “tired.” Many young children can’t even tell you precisely what they are worried about until you, the parent, point it out. 8 Naturopathic Approaches to Addressing Your Child’s Anxiety This article also includes the warning signs of anxiety, if you’re not sure your child’s worries are normal or abnormal. Treat the CAUSE. The cause of anxiety in children can be physiologic or behavioral. I very frequently see parents with anxiety who have children with troublesome anxiety as well. This makes me think of a genetic link. Many times simple things like iron deficiency or lead toxicity can worsen anxiety as well. And of course insomnia and anxiety go hand-in-hand and need to be treated together. Many picky eaters have a magnesium deficiency which can lead to anxiety. For all of these principles the following books and resources will be enormously helpful to parents and providers. There are lots of different parts to this interactive website. The children/adolescent specific portion of the website can be found at youth.anxietycanada.com (or click on Youth under the general website). This site is geared toward older kids and teens, in my opinion. It is more of an information site, with listings of things like: “what is anxiety” and “when is it a problem?” It includes very basic tips for self regulation, including “thinking right” – like how to deal with automatic thoughts (this is a term used in cognitive behavioral therapy). It also includes some simple breathing tips. I didn’t find the treatment portion of this site to be hugely helpful. But to gain a frame of reference for anxiety in kids this is a really good starting place for parents or teenagers. Recommended for: a first starting place when a teenager needs some resources for anxiety. Cons to this site: it looks like it hasn’t been updated in a number of years, so some of the links are broken. It does have an updated link to a class that parents can take called Coping Cats Parents (www.copingcatsparents.com) – I didn’t get a chance to review it, so if any of you have completed that course please comment below. Recommended for: a first starting place when a child or parent isn’t sure if their child’s anxiety is normal. This is a sweet little book about a worried boy (David). It shares the story of how David could not stop thinking about his worries (missing the basket in the big basketball game, failing his math test). It is a great little story that many anxious kids will relate to. It includes a few short pages at the end of the book to give kids and parents coping tips. Mostly it is a book that shows how a child can overcome his/her anxiety. Recommended for: any child who needs a story to help them understand that anxiety is common and treatable. Best for younger children, approximately elementary-school aged. This book speaks real kid language. It uses examples, illustrations and words that kids relate to and understand easily. It is also a workbook, so there are places to draw pictures or write sentences or lists. It also gives some good, concrete ways for kids to overcome their worries. Recommended for: any elementary school child with anxiety who is ready to engage in the process of overcoming worries. Wow. This book is incredible. If I could recommend one single resource to families who have an anxious child I would strongly recommend this one. This book uses Cognitive Behavioral Therapy techniques in a simple, easy to understand way. This book (unlike the book above) is geared toward parents. The main point of this book is to give parents a “toolbox” of techniques to use with their anxious child. These tools include things like using a “Fear Thermometer,” a “worry hill” and a “nickname game.” These are all techniques that are appropriate for children (though they work on adults too!) and are concepts that kids quickly grasp. Most importantly, this book helps parents break the cycle of enabling avoidance and safety behaviors, which only makes anxiety worse. One of the main principles of Cognitive Behavioral Therapy is gradual and repeated exposure to situations that your child may be avoiding due to anxiety. I talk to my patients and parents about this a lot, but I’ll tell you – patients hate this part! My favorite part about this book is how the author teaches you how to introduce exposures in a way that is empowering rather than frightening. Burden of anxiety disorders in pediatric medical settings: prevalence, phenomenology, and a research agenda. Ramsawh HJ, Chavira DA, Stein MB. Burden of anxiety disorders in pediatric medical settings: prevalence, phenomenology, and a research agenda. Arch Pediatr Adolesc Med. 2010;164(10):965-72. Beesdo K, Knappe S, Pine DS. Anxiety and anxiety disorders in children and adolescents: developmental issues and implications for DSM-V. Psychiatr Clin North Am. 2009;32(3):483-524. Kessler RC, Avenevoli S, Costello EJ, et al. Prevalence, persistence, and sociodemographic correlates of DSM-IV disorders in the National Comorbidity Survey Replication Adolescent Supplement. Arch Gen Psychiatry 2012; 69:372. Shear K, Jin R, Ruscio AM, et al. Prevalence and correlates of estimated DSM-IV child and adult separation anxiety disorder in the National Comorbidity Survey Replication. Am J Psychiatry 2006; 163:1074. Walkup JT, Albano AM, Piacentini J, et al. Cognitive behavioral therapy, sertraline, or a combination in childhood anxiety. N Engl J Med 2008; 359:2753. The Tastiest Anti-Viral Medicine Your Child Will Love: Elderberry!